It’s baby Roller time. 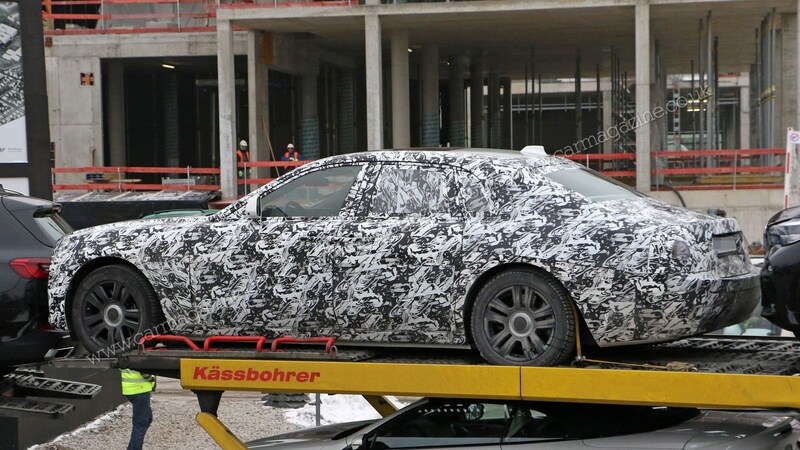 These are our first pictures of the next-generation Rolls-Royce Ghost, the fancy brand’s small(er) four-door offering. 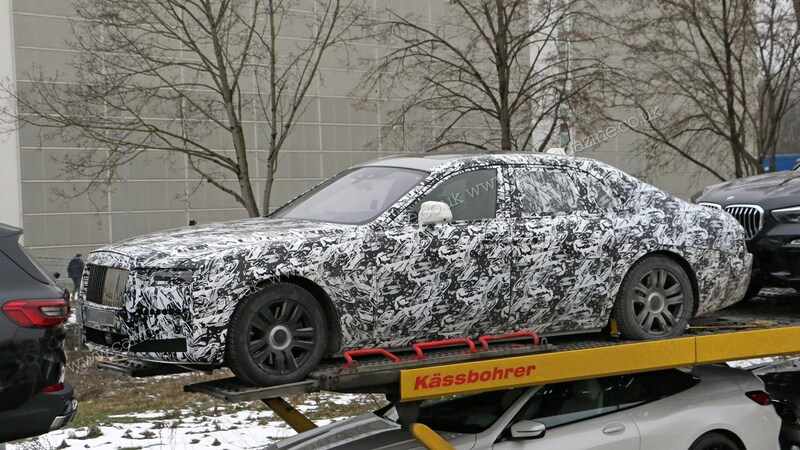 Our spy photographers caught it on a car trailer mixed in with a set of BMW cars, including an X5 and 8-series convertible. Not many specs are known yet, but the new 2021 Ghost is understood to use the same scaleable platform architecture as the new Phantom we first drove in 2017 and the new Cullinan SUV revealed in 2018. Potentially same architecture, potentially the same engines, too. That means the Ghost is expected to use the 6.75-litre V12 already in service in the Phantom and Cullinan. This could also be the car that would herald the start of RR’s all-electric future. Rolls-Royce CEO, Torsten Müller-Ötvos, has pointed to Rolls-Royce skipping straight to full electric (and therefore avoiding hybrids). 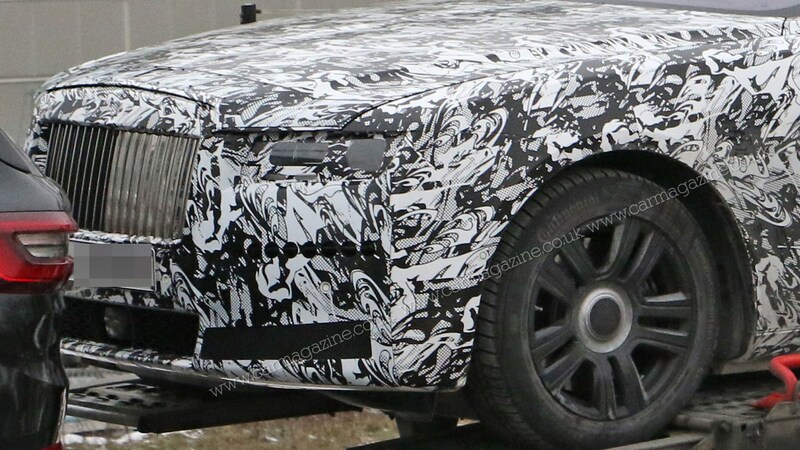 The new 2021 Rolls-Royce Ghost still has the rear-hinged coach back doors, just like its larger siblings and the Ghost that came before it - and you can tell just from these camouflaged images that the overall shape and design won’t stray too far from the previous-gen Ghost. Stay tuned for more details when we get them.